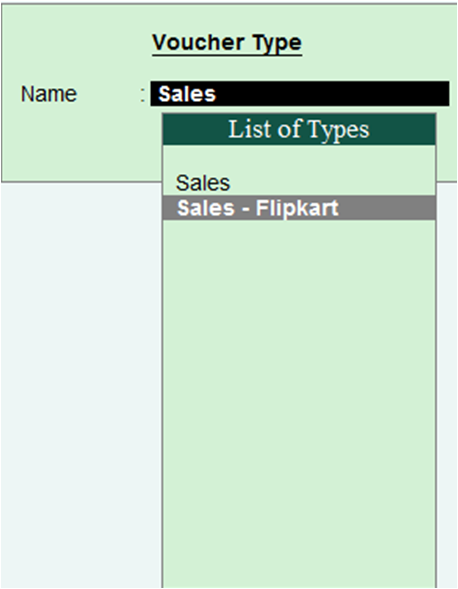 In this lesson we know about maintaining multiple invoice category for multiple customers. Multiple invoicing is very useful for Companies/ Firms who sell their product online through multiple E-Commerce website and with this option you also maintain separate invoicing of each E-Commerce seller. E.g. Company ABC has sold product with Flipkart, Snapdeal, Amazon etc. & need to want invoicing seperate for each of them. So what you do in this case. 1. You can create manual numbering of sales voucher for tracing voucher number and inventory details. 2. 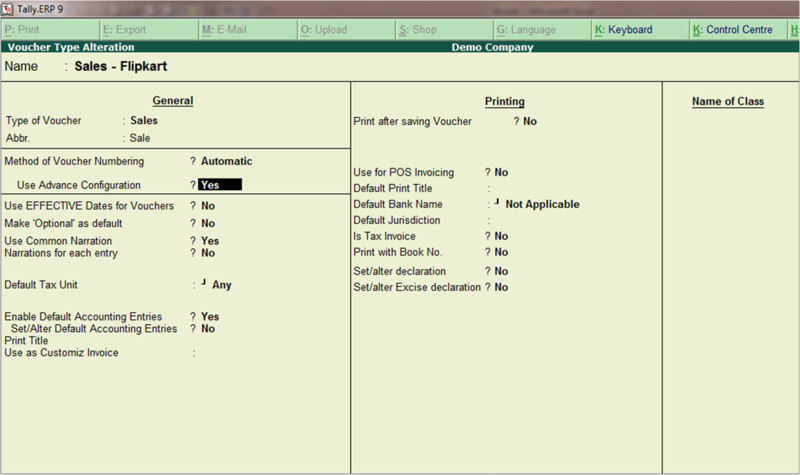 Or you can create automatic numbering of sales voucher for each sales. In our opinion, option no. 2 is very useful, and because of Tally.ERP9, it is very easy. Company ABC create Invoice of Flipkart having invoice no. 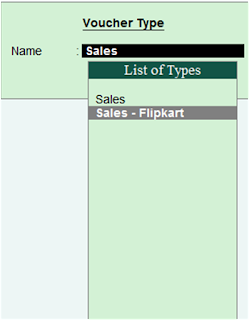 FKT/2015-16/001 (001 is first bill) & for Snapdeal invoice no. is SNP/2015-16/001, & for Amazon it is AMZ/2015-16/001. Accept "Yes" and save your voucher type. In the same manner you should also create separate voucher type for other E-Commerce Buyer. 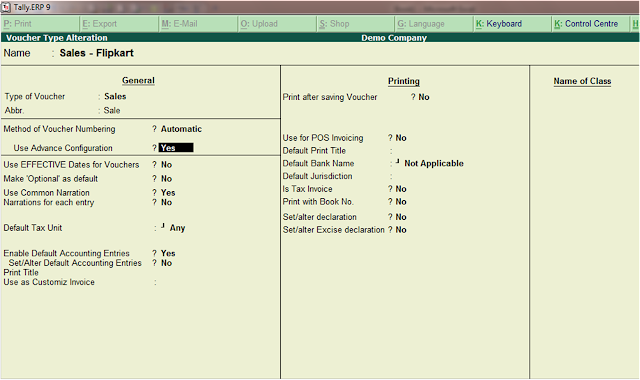 System ask you to select the voucher type, select your voucher type and create sales entry. This method also help for maintain separate Invoicing for each Buyer & allow to having accounting separately for taxation purpose.